Update your bookmarks! See you there! We now continue with our original programming…. Back in ’09, I was doing a LOT of coaching, working with other photographers to improve their images. I had just wrapped up a string of workshops across the US, and I was about to begin recording seven Online Portfolio Review videos. And the single most common issue with the beginning photographers I was talking with was verticals. So I recorded a quick tutorial explaining the issue, and showing the Photoshop techniques I was using to correct converging verticals in my photos. Back then I was using Photoshop CS3, and Lightroom 2.x. I was vastly unimpressed with the “Lens Correction Filter” in Photoshop, and Lightroom didn’t address lens corrections and transforms in a serious way at all. That video went sort of viral, and remains one of the most viewed posts on this blog to this day. BUT — things have changed. Lightroom 3.0 came out, and with it came much more robust lens corrections tools (a new version of Adobe Camera RAW contained the same tools). These days, many of my images never leave Lightroom, and I rarely resort to the Photoshop transform tools that I featured in the first “Correcting Verticals” video. So, without further ado — here’s the 2011 version! This is what I’m doing on images that have converging verticals, rotation, and the inherent curvilinear and anamorphic distortion that’s inherent in even the best lenses. Hit the comments with feedback and your own methods! 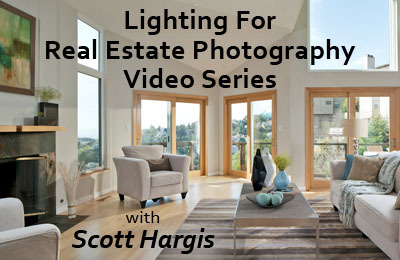 Scott Hargis is a widely recognized interiors and architectural photographer based in the San Francisco Bay area. He creates artistic photographs that communicate more than just basic information about a room or structure. His compositions reveal the intent of the designer, interpreting their work into a two-dimensional image that accurately conveys the feeling of being in the space itself. Scott relies on traditional field techniques and attention to detail to create images that feel alive and authentic without excessive digital manipulation. What Speedlight Should I Get?